to sign the new the lowest pay permitted by law bill. The NLC said since the National Assembly affirmed the new the lowest pay permitted by law of N30,000 and passed it to the President for his consent nothing had been caught wind of it. 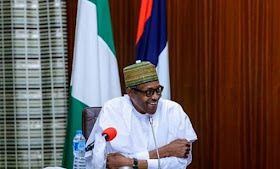 The union’s Head of Information and Public Affairs, Benson Upah, who spoke to our correspondent on the issue, said workers would be grateful if Buhari signed the bill this month. He said, “The President constituted a committee that worked on the figure that was submitted to him and he sent it to the National Assembly as an executive bill. Similarly, the National Assembly legislated on it and sent back to the President for his assent. “We have no reason to doubt that the President will not sign it into law; his body language does not suggest that he will not sign it. The Trade Union Side wing of the Joint National Public Service Negotiating Council also called on Buhari to sign the bill. In a statement on Wednesday by the Chairman of the union, Abdrafiu Adeniji, and the Secretary, Alade Lawal, the TUS commended the National Assembly for passing the bill. 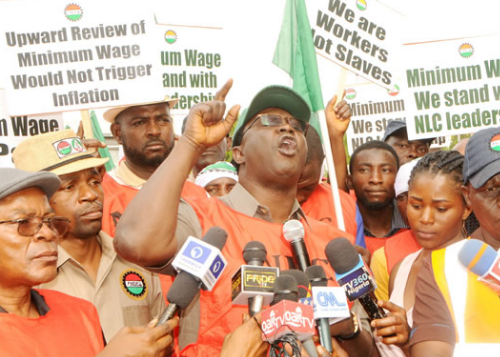 The statement said, “The tripartite committee on the minimum wage and the National Assembly have done a good job by approving N30,000 as the national minimum wage and accordingly deserve commendation. It is now left for the President to sign the bill into law and bring the minimum wage saga to a positive conclusion.